Elias Sorensen may be making the headlines with 18 goals already for the U-23’s this season, but teammate Cal Roberts is racking up an equally impressive record this season. The winger has now managed an outstanding 11 goals and 8 assists in just FIFTEEN appearances for the second string this season, with him scoring once again in our 2-1 win over Norwich U-23’s last night. Roberts was included in Rafa’s pre-season plans and featured on a few occasions – so he’s clearly been on Benitez’s radar prior to this season – however he’s stepped it up another level since then and will be knocking on the first-team door before long if he keeps this up. Like Sean Longstaff and Elias Sorensen, he will benefit from a loan move to a decent EFL side in January, but it’s only fair to highlight just how prolific (in both goals and assists) he’s been this season when Sorensen has been hogging all of the headlines. Let’s hope he can keep it up, with him now one of several youngsters who may well feature in our FA Cup clash against Blackburn in January. 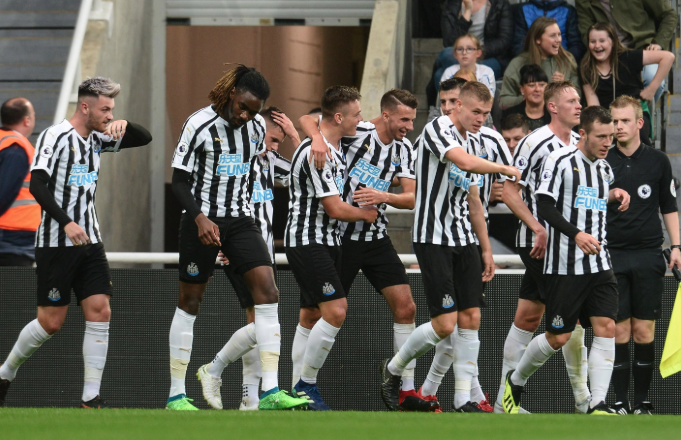 Sky pundit names the Liverpool player NUFC should sign – but he’s forgot one big issue..
Having read recently the teams wet the most players coming through from there Academy were arsenal and Manchester united they haven’t done bad have they. We hear how much has been spent on the Academy at Newcastle what’s the point if these kids are not given a chance in the first team these kids are not just doing it for the club but many for country’s o let us see these kids playing in the first team Dumat has not done bad. What’ the point of an Academy where the students never qualify.